Next week, government department heads and industry leaders will meet at the 23rd National HIPAA Summit to give updates on the progress that has been made over the past 12 months and to provide information on new laws and regulations. The summit also offers an opportunity for compliance officers and other healthcare professionals to receive training on a wide range of healthcare IT and HIPAA-compliance issues. The threat of cyberattacks on healthcare providers has risen to an all time high and healthcare costs are spiraling out of control. The industry may be in critical condition, yet healthcare providers, health plans and other covered entities must find the funding to improve data security and protect the privacy of patients and health plan members. Since the introduction of HIPAA this has been a major challenge, but with the introduction of HITECH, the Affordable Care Act (Obamacare), the move to IC10 coding and the passing of the HIPAA Omnibus Rule the challenge has grown. HIPAA-covered entities now face a huge financial and administrative burden to comply with these regulations, yet they must also continue to provide, and improve, the quality of healthcare services that they provide. In spite of the huge benefits that come from the move to digital data over physical records, there is still financial, clinical, and political resistance to change. The move to EHRs presented many problems, although today this move is now almost complete. 94% of non-federal hospitals and 78% of office-based physicians have now adopted electronic health records, but those that have now implemented the change have to deal with a plethora of big data issues that threaten the privacy of patients and plan members. With such complex challenges, many HIPAA-covered entities are struggling to implement the required policies and procedures to achieve full compliance. One of the main aims of the conference is therefore to ease the burden on healthcare professionals and to provide guidance and assistance to help them improve data security and ensure compliance. This is the 31st HIPAA Summit event since the introduction of the bill in 1996, and the National HIPAA Summit is an excellent opportunity for Privacy and Security Officers, healthcare IT specialists, medical professionals, financial officers and health insurance executives to gain a greater insight into HIPAA and its implications for the healthcare industry. 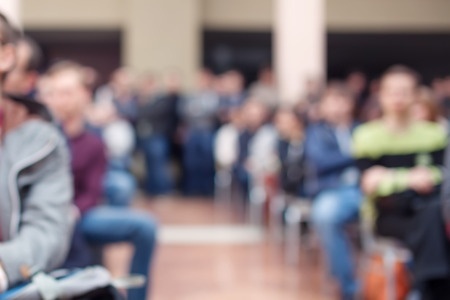 Presentations will offer practical advice on HIPAA-compliance, data security, data breach responses and the legal and privacy issues that surround the move from paper to electronic health records, while HIPAA Academy Professional Certification Training is being provided to delegates. Two best practice roundtables are being held for Privacy and Security Officers, with question and answer sessions to help highlight, and deal with, the challenges currently faced by the industry. Understand the basics of HIPAA, HITECH, and ACA laws and regulations, and the effect of healthcare reform on health information exchange. and how these affect electronic health record adoption and interoperability. Analyze industry readiness for implementation of ICD-10 and operating rules, and articulate strategies for compliance. Understand the Medicare program incentives for meaningful use of electronic health records, and the role of regional extension centers. Gain expertise in the evaluation, selection and adoption of electronic health record systems. Prepare attendees for professional HIT, EHR, HIE and Operating Rules certification examinations. Applicability of HIPAA to ACOs, Medical Home, Bundled Payments, etc. Are we there yet? What is Next and Why is it Taking so Long? Can we Pedal Faster? The summit runs from March 16-18 at the Omni Shoreham Hotel in Washington, DC. Those unable to attend in person will be able to take part via the live webcast and will be able to access the information online for a period of six months.